This version of the portable, battery-operated Roxxane Leggera 101 CL comes with a so-called Magnetic Dock. Thanks to this additional device, you may easily connect the floor lamp to the power supply without having to bend down. 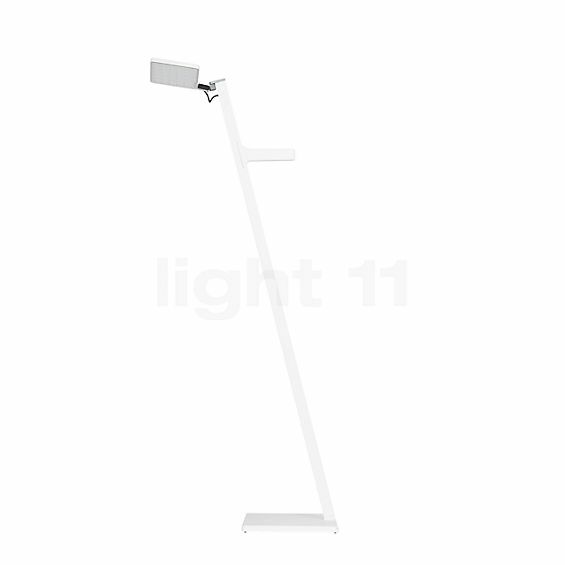 Moreover, the Nimbus Roxxane Leggera 101 CL with Magnetic Dock stands out for its minimalist design: the floor lamp rests on a square base, which holds an angled frame to which the flexibly adjustable lamp head with its powerful LED module is connected by means of a joint. The practical carry handle attached to the frame allows you take the Roxxane Leggera with you wherever you go. Very much in the spirit of a reduced appearance, the portable floor lamp by Nimbus is available in four tasteful colours: white, black, bronze and basalt grey. The Roxxane Leggera 101 CL with Magnetic Dock Floor lamps was designed by Nimbus in-house design and Rupert Kopp for Nimbus. The flat head accomodates modern, smoothly embedded LEDs which offer high luminosity and a formidable colour rendering. The light head of the portable battery-operated light can be rotated in all directions by 270°. The gesture control allows you to dim the light without touching the luminaire. The Nimbus Roxxane Leggera 101 CL with Magnetic Dock offers flexibly adjustable zone light wherever it is placed. Furthermore, the floor lamp may be used both indoors and outdoors. The 3D joint head, which may be rotated by 270°, offers a maximum of operating comfort and a needs-oriented lighting. The brightness of the Roxxane Leggera 101 CL may be easily adjusted by means of a gesture-operated dimmer on the lamp head. There, the light may be switched on and off and be dimmed without touching the luminaire. Furthermore, there is a special boost mode that doubles the light output. Usually, the Roxxane Leggera provides 400 lumens, however, with the boost mode activated, it supplies a luminous flux of 800 lumens, which ensures a bright and even zone lighting for every situation. Moreover, the floor lamp by Nimbus is not only rechargeable by means of the Magnetic Dock but also via a USB Type-C cable. An additional USB 2.0 port allows you to charge your smartphone or tablet. The LEDs on the lamp base indicate the current charge status. Tell other customers and us about your experiences with the Roxxane Leggera 101 CL with Magnetic Dock ! The Nimbus Roxxane Leggera 101 CL is not tied down to one place. You may, for instance, place it in the middle of a living room without having to worry that someone might stumble over the cable. 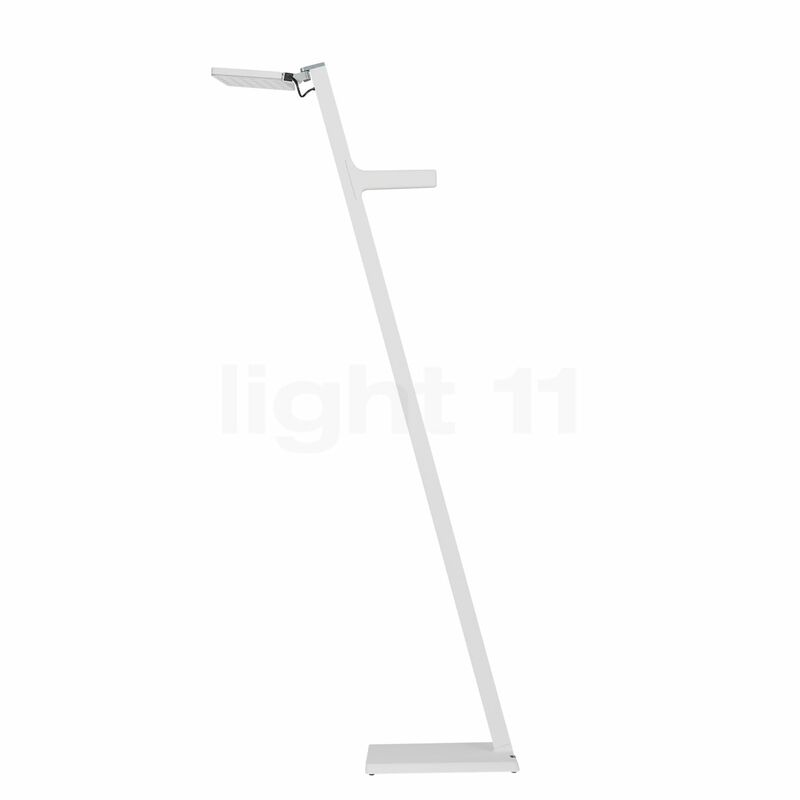 For this reason, the floor lamp by the German light manufacturer Nimbus may function as a needs-oriented zone light and reading light in nearly any environment. Placed next to a bed, an armchair, a couch or a dining table, the Roxxane Leggera ensures excellent lighting conditions. Once you leave a place, you may simply take the practical floor lamp with you as it only weighs 1.5 kg. The Roxxane Leggera 101 CL will also serve you well outdoors. For example, if you decide to stay a little longer outside to enjoy the mild summer night, the floor lamp by Nimbus proves to be a real all-rounder.